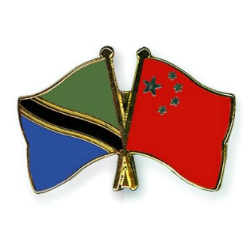 In a recent conversation with Mwananchi Communications Limited, China’s ambassador to Tanzania, Dr Lu Youqing, said that Beijing seeks to mobilise billions of dollars form investors to make Tanzania an industrial hub in the eastern and southern Africa region. Specifically the investments are targeted at Tanzania manufacturing, agro-processing, construction and information and communication technology. Ambassador Youqing stressed the need for a modern and reliable infrastructure for industrialisation to flourish in Tanzania, and highlighted the intention to assist the upgrade in Tanzania railways, ports and air transport. Few days ago the Chinese Embassy to Tanzania announced that Chinese investment in Tanzania has surpassed the USD 4 billion.